It’s still very much unknown when we’ll next get to see Judge Dredd on the big screen, but 2000 AD fanatics only have to wait a little while longer to revisit the character on the small screen. 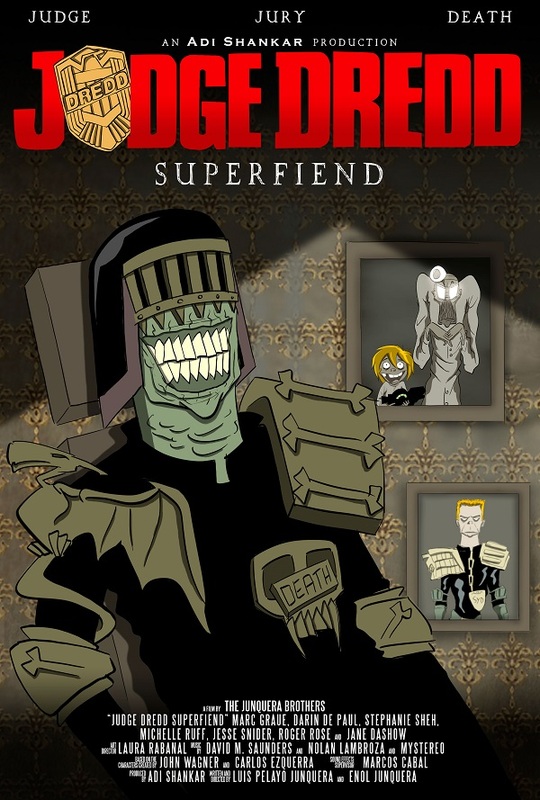 Dredd producer Avi Shankar is releasing the spinoff miniseries Superfiend next week, and the world now knows what it looks like thanks to these first look images and poster. And guys, it’s animated! Cue a cartoon bullet exploding out the back of someone’s skull. 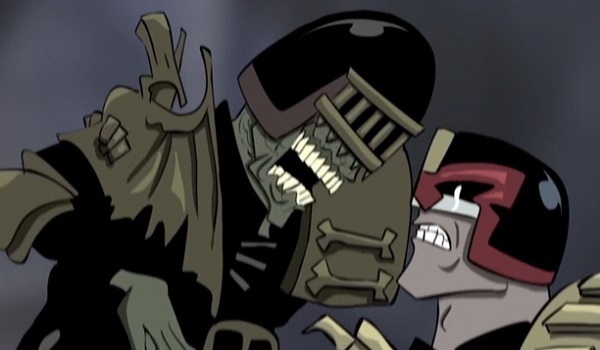 Above you’ll see a shot of Judge Dredd going tooth for tooth in the face of his evil nemesis Judge Death, as Superfiend will focus on the Dark Judges from the comics. It’s something fans definitely wanted to see happen in any possible Dredd sequel, and may still one day, but for now we’re getting them like this. And that’s okay by me, because these stills make Superfiend look like it'll fly pretty close to its comic source material. 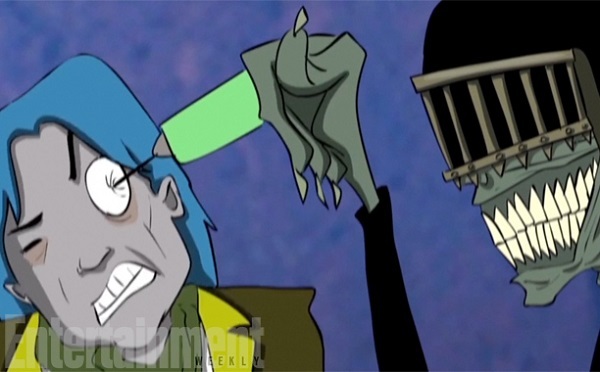 Here’s a shot of Judge Death giving the worst kind of punishment, animated or real, that "eye" can think of. The images, from EW, don’t really give a big hint as to the miniseries’ plot, which hasn’t been revealed just yet. Chances are, it will follow the basic story of Judge Death leaving his parallel dimension for Mega-City One, where he tries to destroy all life, eventually facing Dredd. At some point, his fellow Dark Judges Mortis, Fire and Fear will presumably make their way into it, and then violence-fueled nerdgasms will begin happening spontaneously across the Net. Here’s a particularly bloody shot from Collider. And then here’s one with a bunch of obese people, because why not? Shankar had previously revealed that he would be creating a short film follow-up for Dredd to go with his unofficial bootleg shorts that include The Punisher: Dirty Laundry and Venom: Truth in Journalism. Then he got the film made in relative silence, and I have to say I’m glad to see this is a bigger effort than just a four-minute live-action short. It’s not a feature sequel, no, but we bite note the helmeted hand that feeds. Here’s the exquisite poster, which is a good sign of where this project’s sense of humor is set. Written and directed by Luis Pelayo Junquera, Superfiend will hit the Internet on Monday, October 27, but be on the lookout for a full trailer on Thursday, October 23. This isn’t a negotiation.